Minister of State for Food, Forestry and Horticulture, Andrew Doyle launched Coillte’s National Fire Training Day for 2019 at Avondale House Co. Wicklow on Thursday, March 21st. At the launch Minister Doyle urged farmers, forest owners, forest managers and members of the public to be aware of and alert to the risk of wildfires over the coming months. “Following dry weather patterns, a wildfire risk can quickly develop in all areas where flammable vegetation such as grasses, gorse and heather are present” and the Minister added that forest recreational users should behave in a responsible manner when enjoying our national forest resource. 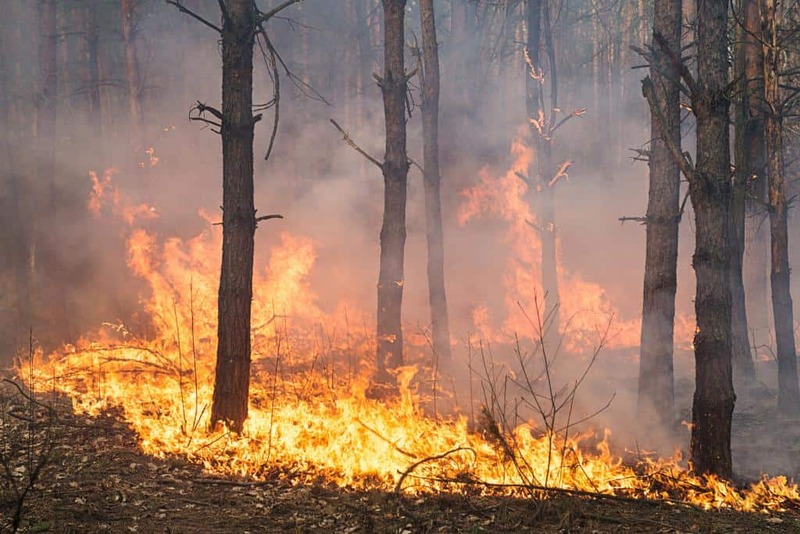 Coillte lost 400 hectares of forest to wild fires along with 500 hectares of bog in 2018 at a cost of €4m and most of the fires happened during the dry hot summer. Speaking at a demonstration of fire fighting methods at Avondale Forest Park in Co Wicklow, Coillte National Estates Risk Manager Mick Power said that a forest takes 40 years to replace. “A forest is a very valuable item and takes 40 years to grow. It is not like a field of barley or a field of wheat where you can replace it in 12 months. A forest takes 40 years to replace so if you lose it halfway through a rotation, that’s a major financial loss,” he said adding that forest fires cause significant environmental damage through emissions and major habitat loss. Commenting on the launch, Daragh Little, Managing Director Forestry at Veon Ltd reiterated that “under the Wildlife Act, it is illegal to burn growing vegetation on uncultivated land between March 1st and August 31st and forest fires in Ireland are caused by human intervention, deliberately or otherwise, and not by acts of nature”. The forestry sector employs 12,000 people and contributes more than €2.3bn to the Irish economy every year.